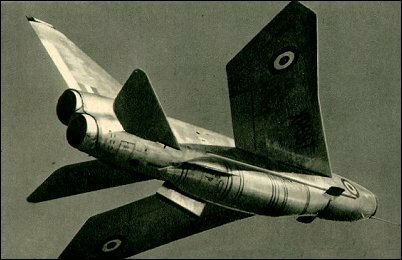 The BAe Lightning was Britain's first jet fighter which was capable of Mach 1+ speeds. By the time the Lightning had come out, the Americans and Soviets were way ahead of the British in the field of Jet aviation, and were busy competing among themselves. The wing design is a typical swept-back one, enabling it to survive and sustain the sonic boom.